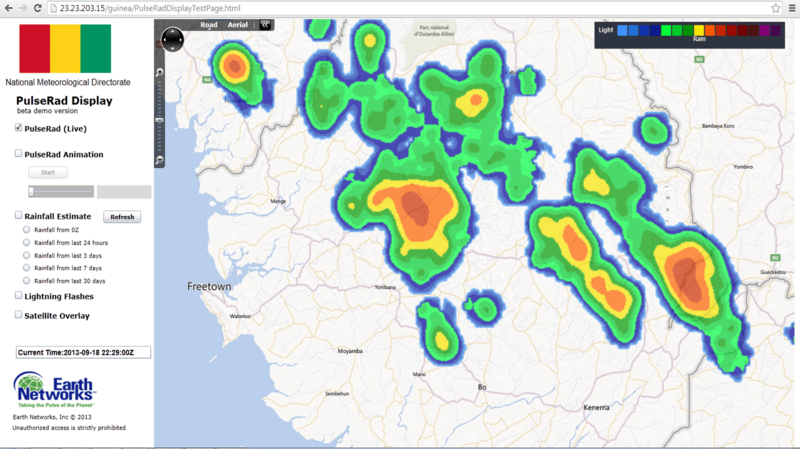 18 September 2013, 23:00 UTC: The Guinea Total Lightning Network was able to detect and strong storms in neighboring Sierra Leone today. These storms produced rainfall amounts of 2-4″ in central regions of the country. The total lightning system generated Dangerous Thunderstorm Alerts for the most intense storms that were producing flash flooding rains, very frequent lightning and gusty winds.